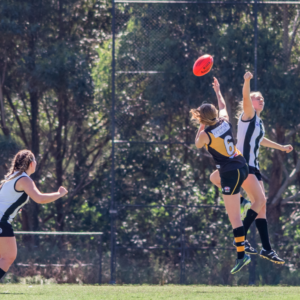 Wallsend-West Newcastle has come into the 2019 season after a strong offseason, recruiting a number of big names in the AFL Hunter Central Coast Women’s competition in a bid to “crack into finals” this campaign. 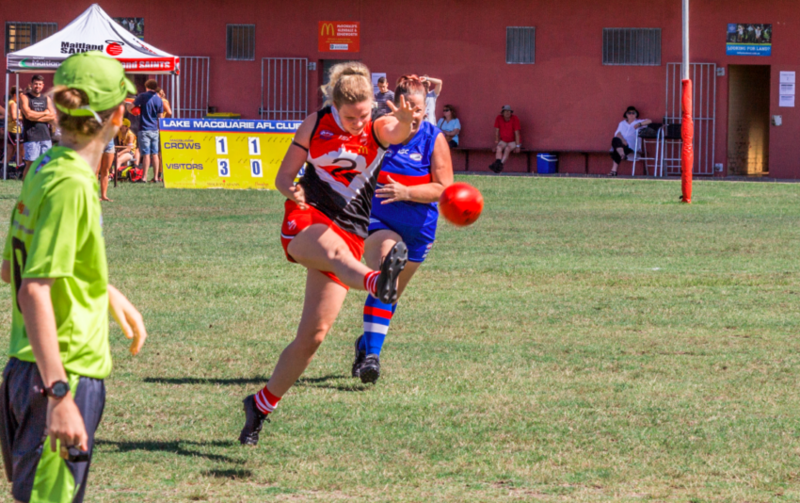 One major signing, Warners Bay sharpshooter Amy Pittman, has already proved a massive in for the Swans, as the ladies in red shot to an 88-point victory over Port Stephens at Bill Elliott Oval. 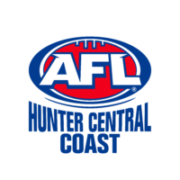 The 16.12-108 to 3.2-20 win moves the 2018 cellar dwellers into seventh place. Pittman made her mark early for the Swans, scoring the only major of the first quarter to give her new side the 7-nil lead heading into the opening break before she joined a rush of scorers in the second stanza. While Pittman claimed her second, Lisa Morales bagged her first two of an eventual hat-trick, while Rebecca Garside, and Bridie Simpson both peppered the goal to give the home team a 43-8 lead at half time. Cheyenne Neu was the lone scorer of the first half for Power, dragging one back for her side. It was all Swans in the second half too, as Pittman was unleashed on Port Stephens in the form of three goals in the third, and three again in the fourth, while Molly-Ann Croak added two six and eight minutes into the second major period. Neu struck again for Power, and Amanda Cherry added her own major to the Port Stephens haul, but the three majors weren’t enough as the Swans lanced the dagger home with further goals for Georgia Fox, and Morales’ third for her hat-trick. 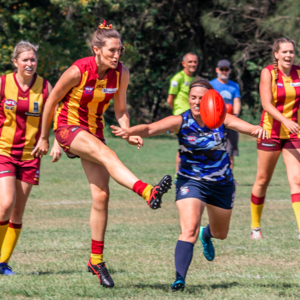 The Wallsend-West Newcastle Swans have scored their first win in 2019, moving to a 1-1 record with their 88-point win at Bill Elliott Oval. Image via Wallsend-West Newcastle. For the team that ended 2018 with a single win in 16 to their name, it’s a “massive result”, club coach Darren Bird said. For him, however, the standout was getting a full roster out onto the oval, and on the reserves bench. 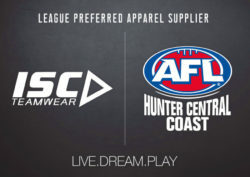 The Swans, who drew on players from Warners Bay, Muswellbrook, and Newcastle, as well as recruiting regional imports through the RAF, have been “revamped” under the watchful eye of Bird, alongside new director football Shaun O’Leary. “We’ve become a really good team in regards to getting the women’s team flying in 2019, Shaun has brought some great things to the club,” Bird said. “After having five or six players out in the opening round, and the preseason gala day, we have most people back on deck now and we showed where we’re at against Power. Bird also pinpointed Alyce McCloskey as a key figure in the match, alongside Simpson and Pittman, with McCloskey “running the show” in the midfield. After the triple-digit haul for the Swans, Bird revealed he’s gunning for finals after his team suffered a wooden spoon finish in their first outing in the competition. “Whether we just sneak into a finals position, or even higher, I don’t mind,” he said. “One of our main goals is that postseason run though, and we want to prove that we below in that top half of the table this time around. Wyong Lakes smothered grand final rivals Newcastle City in a 41-point win at Don Small Oval. 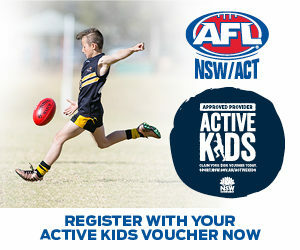 Killarney Vale also collected all four points, downing Warners Bay 11.17-83 with a hat-trick to no.20 Courtney Barnett, while Maitland clinched another landslide victory with a 22.27-159 to nil win over The Entrance Bateau Bay.Elsewhere on Saturday in the third round, Gosford fell to Singleton at Adcock Park 3.1-19 to 15.15-105, with Brianna Howard slotting home four for the Roosterettes to collect all four points for the team. Tori Cowburn and Kyah McBride also notched hat-tricks for the victorious Singleton squad away from home. 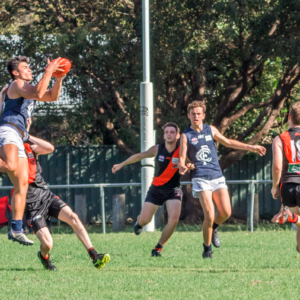 Minor premiers Nelson Bay also saw their woes continue in 2019, as their third round fixture saw them tumble to Lake Macquarie at home, with a 47-6 first half barrage turning into a 12.10-82 to 5.4-34 defeat for the Marlins. Also on Saturday, Wyong Lakes exacted their revenge over Newcastle City in the grand final rematch, sending the women’s champions into the losers’ circle with a 6.12-48 to 1.1-7 thumping off the back of two for Kanesha Murray and two for sharpshooter Aleece Williams. Finally, Terrigal Avoca moved into fifth place at Cardiff’s expense, knocking over the Hawks at Hylton Moore Oval in a close 8.6-54 to 5.5-35 clash. Emily Bryant was the only multi-scorer for the Panthers with two, while forward Claudia Russell scored four for the defeated side. Muswellbrook had the bye in the third round. STANDINGS: Killarney Vale, Maitland, Wyong Lakes, Singleton, Terrigal Avoca , Cardiff , Wallsend-West Newcastle, Newcastle City, Lake Macquarie, Gosford , Warners Bay, Nelson Bay, Muswellbrook, Port Stephens, The Entrance Bateau Bay.